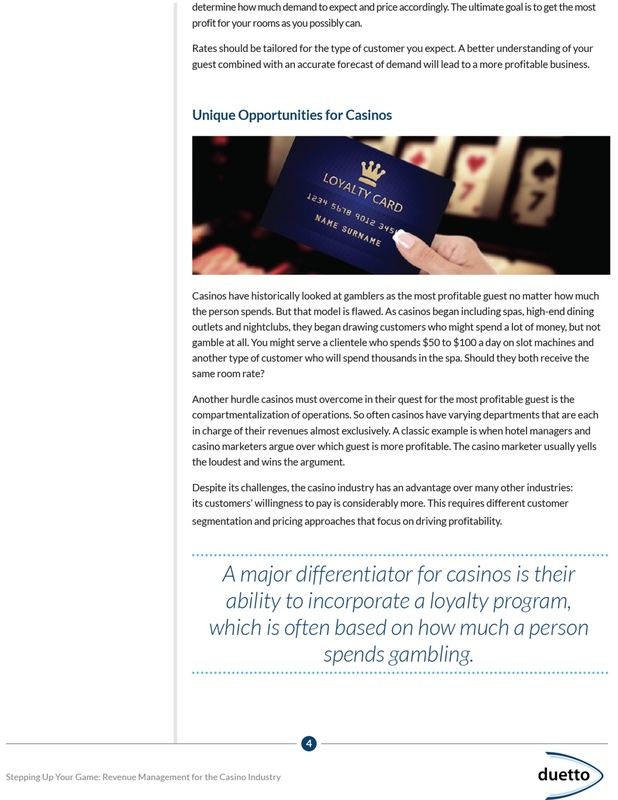 As legalized gambling spreads through more states, casinos are faced with increasing competition and thinning revenues. 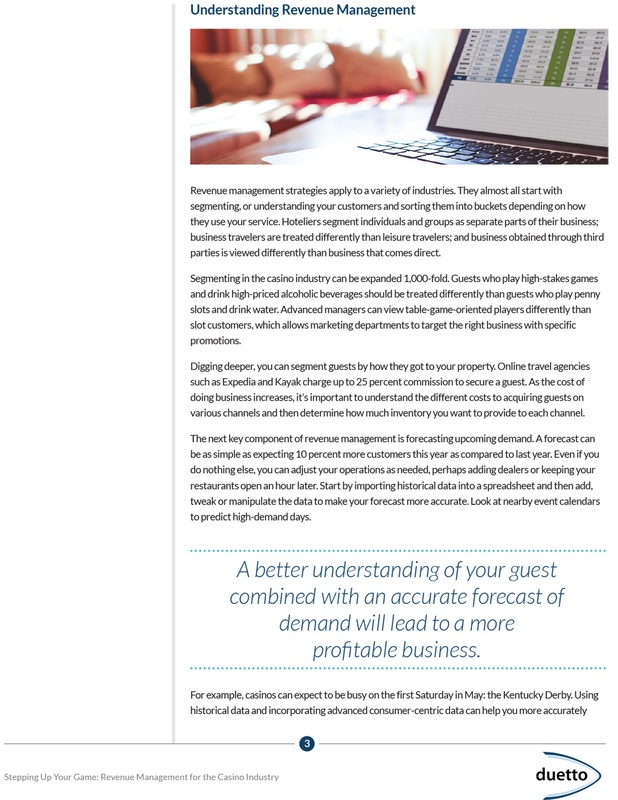 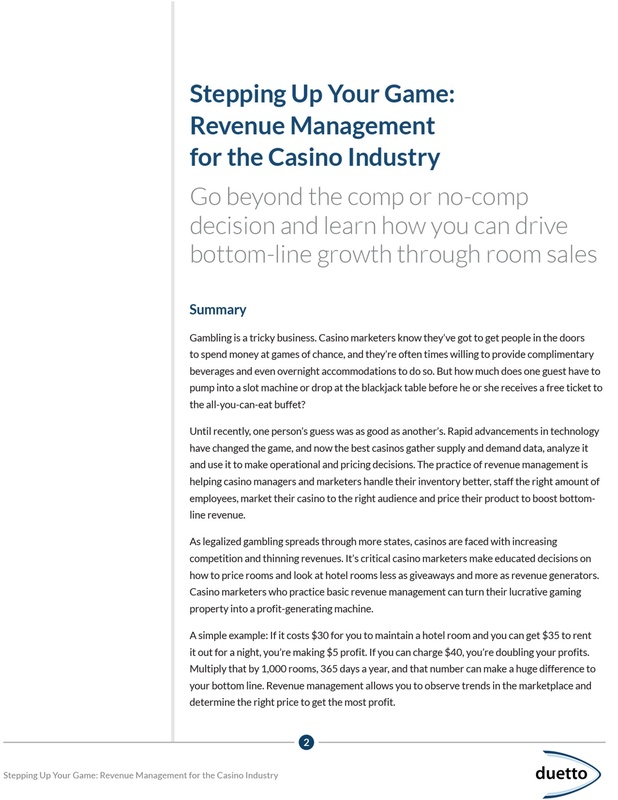 It’s critical that casino marketers make educated decisions on how to price rooms and look at hotel rooms less as giveaways and more as revenue generators. 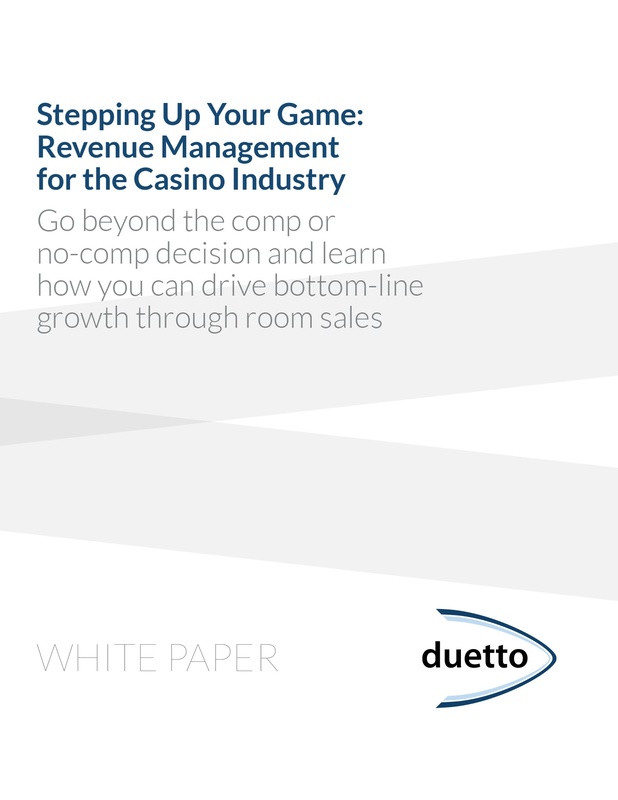 Casino marketers who practice basic revenue management can turn their lucrative gaming property into a profit-generating machine. 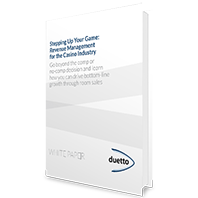 Download this whitepaper to learn how revenue management allows you to observe trends in the marketplace and determine the right price to get the most profit.